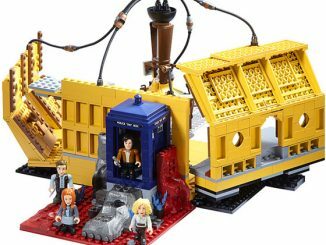 Star Wars fan have Darth Vader, Star Trek devotees have the Enterprise, and building blocks aficionados have Lego. 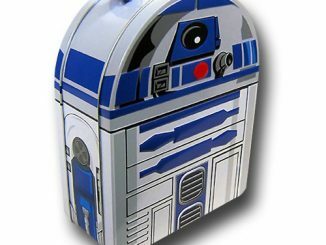 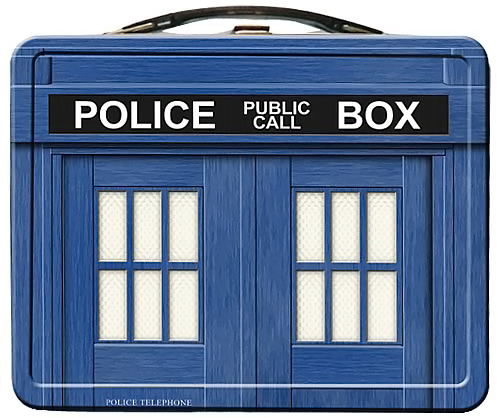 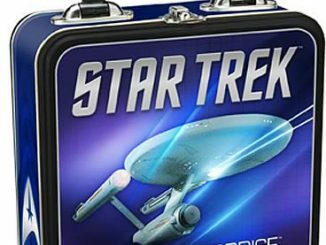 Now, Doctor Who buffs have the TARDIS Lunchbox, so they too can show where their loyalties lie at lunchtime. 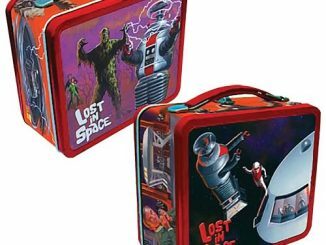 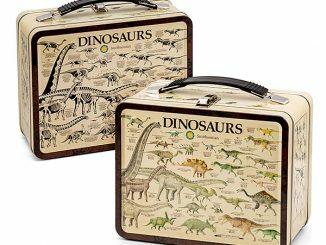 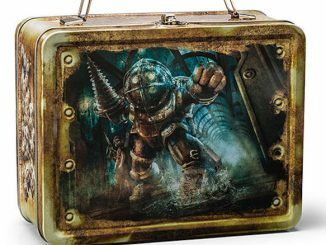 Just like an old school metal lunch box, this tin tote is sized to carry a sandwich and snacks. 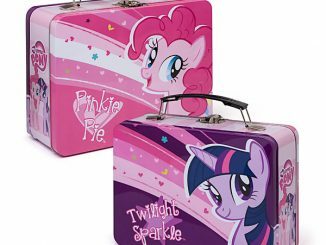 It measures 8-5/8 inches by 6-3/4 inches by 4 inches. 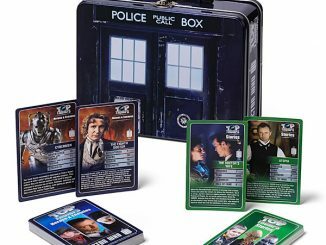 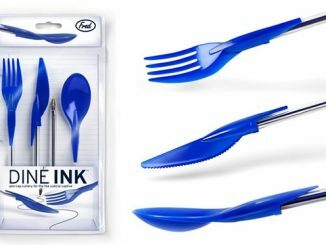 It’s a terrific collectible that makes a great gift for Doctor Who fans! 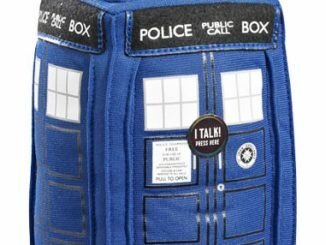 Pre-order the Doctor Who TARDIS Tin Tote for $12.99 from Entertainment Earth. 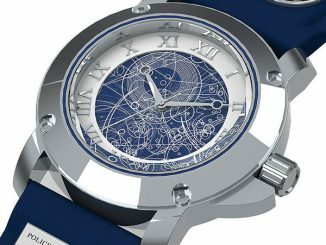 It is expected to ship in August 2011.